A new database by Stanford University academics that ranks hundreds of public agencies across the state by pension liability lists Corte Madera deep in red ink at No. 17 — and Ross, Sausalito and Mill Valley in the top 100. Marin County’s pension program checks in at No. 144 — and in better shape than 22 other California counties when ranked by unfunded liability per household — but no breakdown was available outlining the county system’s individual components, including county government, the city of San Rafael and the Novato and Southern Marin fire districts. Former Marin assemblyman Joe Nation, a public policy professor at Stanford, worked with top colleagues and others to sort 2013 data providing fiscal detail on 1,079 California counties, cities and key special districts on pensiontracker.org. The data indicates Corte Madera officials over the years have promised pensions that in effect now cost each household in the city $25,003 — the 17th-highest tab calculated across the state, and the highest in Marin. George Warman, Corte Madera’s veteran finance chief, said Nation makes the situation seem apocalyptic. “The world is not all falling down,” Warman said, adding the city is paying off its pension liability “on an ongoing basis over a period of time.” Further, state reform puts new hires under a less expensive plan that will eventually curb city costs, he said. Employees of most cities and special districts in Marin are part of the state CalPERS retiree system, and robust benefits in Corte Madera allow former city fire chief Robert C. Fox to collect the state system’s biggest pension in the region. Fox’s final pay and 36 years of service provided a $223,483 pension in 2013, making him No. 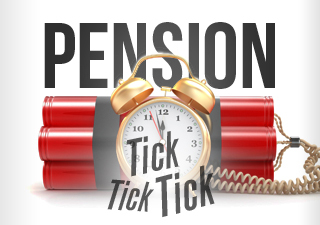 72 on CalPERS’ payroll of 583,000 pensioners. Last year, Robert Fellner, a researcher for the California Public Policy Center’s Transparent California website, criticized “exorbitant” pay and benefits at Corte Madera Town Hall, noting the average compensation package topped $170,000.